Learn how Easy Transfer Cables work, how to use them to transfer files to Windows 10, and what alternatives are available. Looking to transfer with a cable? Our Easy Transfer software will get that done for you! You've probably heard about using an Easy Transfer Cable to transfer your files from one computer to another. In this guide, we'll learn how to do this transfer, which cables to use and what are today's alternatives and improvements on the old transfer cable route (yes, you can even transfer without a cable!). What is an Easy Transfer Cable? 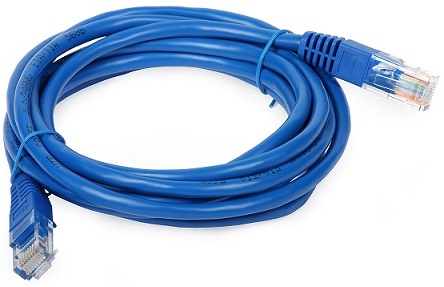 An Easy Transfer Cable is a type of cable that helps transfer data from one computer to another. The transfer itself is done using a special software program that uses the cable to transfer your files. Once, these were special cables, usually USB cables (by Belkin, Plugable or Laplink) with a special box in the middle. How do connect the computers with my Easy Transfer cable? Just plug the cable between the computers. You won't make a mistake - there is only one type of port that the cable will fit into. So just find something on the back of each computer that the cable fits, and plug it there. How do I transfer files from one computer to another using an Easy Transfer cable? Once the cable is connected, run the transfer software and start the transfer. We recommend using Zinstall WinWin, a dedicated software that will transfer all of your stuff - programs, settings and files - to the new computer (more on that further on). Can I transfer programs, emails, settings, passwords - not just files? You can use WinWin with a cable, or even without a cable - going through wireless network or a USB drive. Can I transfer without a cable? Yes, but you'll need a Zinstall software to do it. It can transfer via your wireless network, your existing Internet connection, or even through a USB backup drive. Ask us how in the chat on the bottom-right of the page. Yes. This transfer works with Windows 10, 8, 7, Vista and XP. Run Zinstall WinWin on your current computer (the one you are transferring from).